- MOLLE webbing on the front, back, and side panels allows the attachments of MOLLE accessories like holsters, mag pouches, utility pouches, and other essential gear. - Hook and Loop fasteners on the ends of the cummerbund to secure with the front panel hook and loop fasteners, for a secure fit. - Adjustable for length Shoulder straps with large heavy duty quick connect buckles and with hook and loop fasteners. 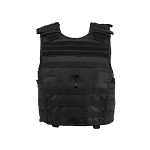 - Includes two padded shoulder covers with MOLLE webbing, hook and loop fasteners, and loops for communications cabling routing. 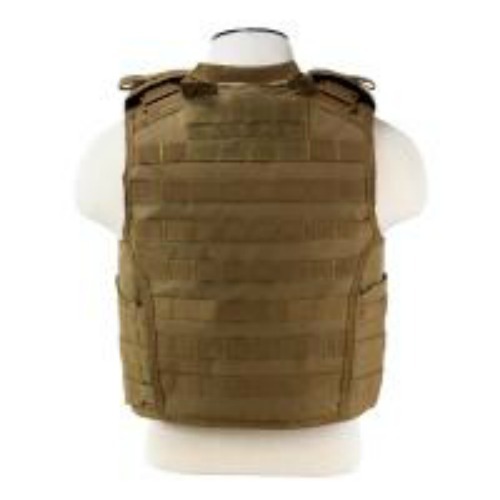 - Top three MOLLE webbing rows on the front and back panels have loop fasteners for attaching (hook) Unit, ID, and name tapes to the front and rear panels. - Heavy Duty drag handle on the top of the rear panel. 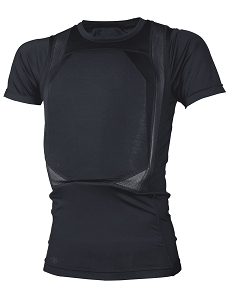 - Breathable mesh inner panels with separate internal pockets for soft body armor panels and hard plate armor. - Double and re-enforcement cross stitching in critical areas. - Adjustable for length cummerbund with MOLLE webbing, cummerbund can be extended out to 51"L.
- Side pockets will allow for 6" X 8" side armor panels/plates. 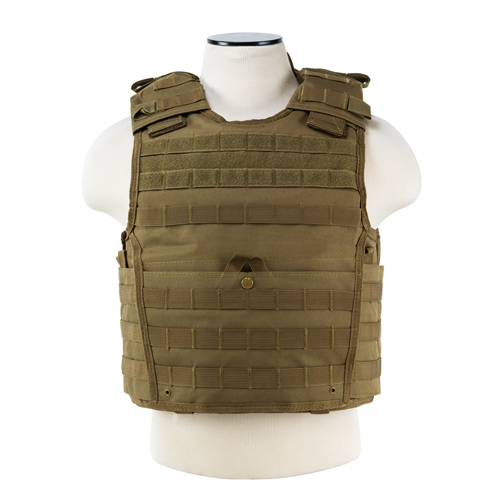 - Expert Heavy Duty Plate Carrier designed to fit larger front & back armor plates up to 11" X 14" in size. - 10"X 6" front pocket with hook and loop enclosure.